Whatever else you might say about self-publishing, I’ve never felt so free before! Today marks the official publication of my book SATURDAY LOVE. It’s my eighth book, my fifth self-published. I’ve gotten much better at this thing over the past couple of years, everything from formatting to editing to cover design is better now. Even my writing is improving with every book, and I say that with no false modesty whatsoever. I can’t read one of my older books without blushing a little, and I wouldn’t want to change that. If I could read them all with unfettered pride, it would mean I was standing still. But why do I say self-publishing is freeing? Whether it’s a good thing or not (and it’s definitely more work in many ways), I can publish what I want and make my own schedule. Having done it both ways, I thought I’d give you a sample schedule for both traditional and self-publishing. Finish book and set aside. Return to first book, rewrite and set aside. Contact editor and get quote. Send book off for editing. Get edits back. Lots of great suggestions! Pay editor. Pull out book and read over making small changes and edits. Decide it’s good and set a publishing date. Contact a cover artist, tell him/her exactly what you want. Get back cover and be pleased. Pay cover artist promptly because you want to use them again. Decide to go over one more time. Crap. How did you leave that apostrophe out? Fix apostrophe and resubmit everything to CreateSpace. Begin telling friends, posting on FaceBook, Tweeting, etc. Open email with great trepidation to find a refusal. Open email and rejoice to acceptance. Contact with editor who gives you rough schedule of editing process and publishing schedule and sends you worksheets that will help the art department and blurb writers get a handle on what your story is about. Despair that there’s still so much wrong with your story. Complete edits in much less time than is given and return. Get second round of edits. Complete edits much faster this time because you and your editor understand each other better. Copy edits arrive, marked up by two or three additional editors you don’t know. Crap. There’s still so much wrong! How is this possible. When will you get to see your cover? What’s up with that? And the blurb? Finally! The cover arrives. The artist is very proud. He/she has a cover they know you are going to love! It’s not what you’d imagined. But how do you tell him/her that? And it’s not bad, just not what you’d pictured. Blurb arrives. It’s pretty good. 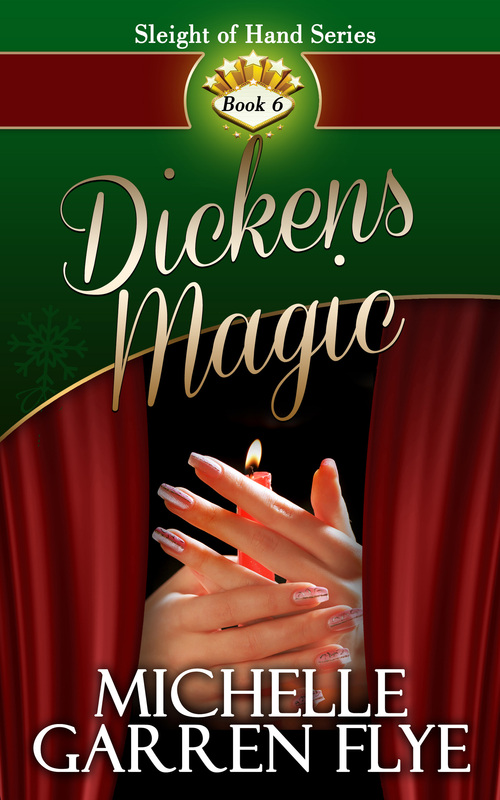 They’ve taken your original idea and spiced it up with some catch words and phrases designed to make readers LOVE the idea of reading your book. The cover’s really not that far off. And what do you know, anyway? You point out a few small things that could be changed. The artist replies that those things are set, makes a very minor change and you’re both okay with it. Galleys arrive. You read eagerly, certain your book can be nothing but perfect now. Crap. Who left out that apostrophe? Was it you or one of the copy editors? Is it too late to fix it? Decide it’s too small to bother editor with. Decide it’ll bug you forever if you don’t. Query editor about it and be reassured you’re not being a pest and they’ll fix the apostrophe right away. Get advance copy of your book. Start querying review sites that haven’t already been hit by publisher about reviewing your book. In so many ways, the process is the same. The difference is, the only person I have to wait for is myself, really. The editor and cover artist (and I’ve done self-publishing without either) never take long to do their jobs, and because I hire them, I know about how long that will take. So, in the end, I can publish what I want when I want to publish it. But I’m out here more or less alone, except for you guys, my readers. SATURDAY LOVE is now out there. Feel free to give it some love. And if you’re worried about reading the sequel without reading the first book, DUCKS IN A ROW is free for the Kindle today. Do me a favor and go check it out, then let your friends know, too. NEW REVIEW! Ducks in a Row still has it! What a great way to end the old year…especially when I’m kicking off the new one with another book. If you check this page out closely, you’ll see what I’ve been up to besides happy holidaying with my family. 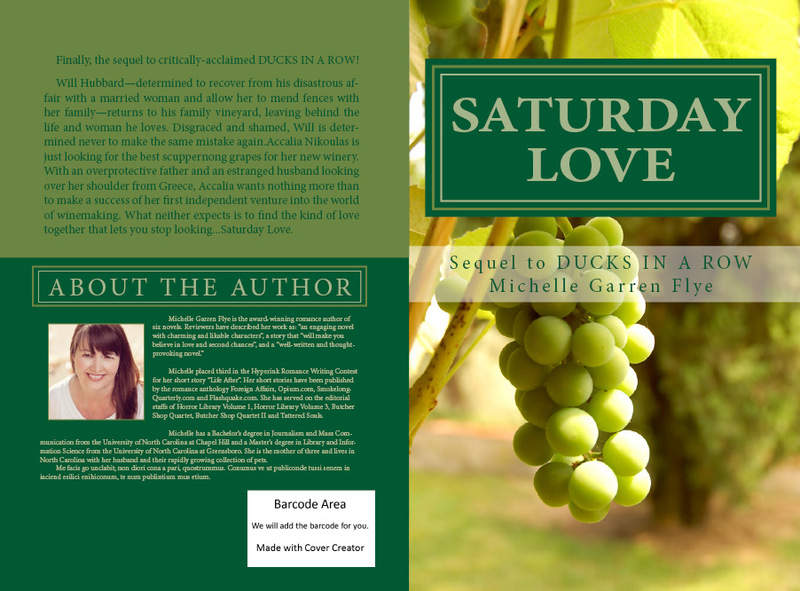 Yes, I’m getting ready for the release of SATURDAY LOVE (sequel to DUCKS IN A ROW), which will definitely be available for purchase on January 1, 2014. You might want to pick up DUCKS IN A ROW now for only 99 cents on AMAZON…and catch up on the story before it continues in SATURDAY LOVE. What the heck is “Saturday Love”? It’s been asked. What the heck do I mean by “Saturday Love”? Is it a once a week thing? A one-night stand? If so, why did I choose that for the title of the sequel to Ducks in a Row? This is, after all, the book that follows the further adventures of Will Hubbard, the man many people was done totally wrong by Cady Summers in Ducks. We want him to have a happy ending, don’t we? So why not call his book “24/7 Love”? Well, in addition to not sounding like a 24-hour gas station, Saturday love is a feeling that refers to more than a time period. It’s forever love. The kind of love that lets you rest, safe in the knowledge that you’ve reached the prize you were aspiring to. It’s the kind of love that lasts fifty, seventy-five, even a hundred years if it’s called on to do so. And even if there are hard times and difficult passages, Saturday love is still there. Saturday Love, the sequel to Ducks in a Row, will be published January 1. As you can tell by the cover above, it’s in the final editing stages right now. I’m cleaning up the final typos in my last thorough read-through. So you’ve still got time to get up to speed if you haven’t read Ducks. Plus, Ducks in a Row, the novel that has been called “thought-provoking”, “unsettling”, “wonderfully beautiful” and “painful”, is currently only 99 cents for your Kindle on Amazon! “I’m not sure I get what you mean.” Will shook his head. Patrick went back inside, but Will remained where he was. His chest felt strangely hollow. Strange, because it wasn’t a totally unpleasant feeling. It felt clean, not empty, and he knew why. Whether Accalia was his Saturday love or not, he’d finally faced the fact that Cady wasn’t. Okay, it’s really, really good to be sitting here on THIS side of last week. I feel like it’s the first breather I’ve taken all week. In addition to returning home at 11 o’clock Sunday night from Las Vegas, this was the first week of my online book tour, the last week of school for two of my kids and the week I had to get the school library packed up. I’ve been up at six AM and going until I put my kids to bed all week. To make it all the more fun, on Wednesday I got up to a fantastic email from Amazon telling me the Kindle version of my book had magically transformed into a string of letters and numbers that nobody could read. I’m not kidding, it was like it was in some sort of code or something. I swear that happened sometime SINCE I put it online. So I had to spend a fair amount of time Wednesday re-uploading the Kindle version, seething all the while because I was technically promoting a book that wasn’t even available for more than twenty-four hours–at least not available in the preferred format. I felt like I was on a speeding train going somewhere I really needed to be…but I’d left the luggage that would make the trip worth it. Please understand, I’m not complaining, exactly. I’m EXplaining my absence from here. And I want to make it up to you. I’ve been planning to give away copies of DUCKS IN A ROW and WEEDS AND FLOWERS for a while, and today seems like a great time to do it. So please, be my guest. Download my other two indie babies. And if you’re only interested in CLOSE UP MAGIC, I’ve got something for you there, as well. I’ve already posted Chapter One online. In a few minutes, Chapter Two will join it. 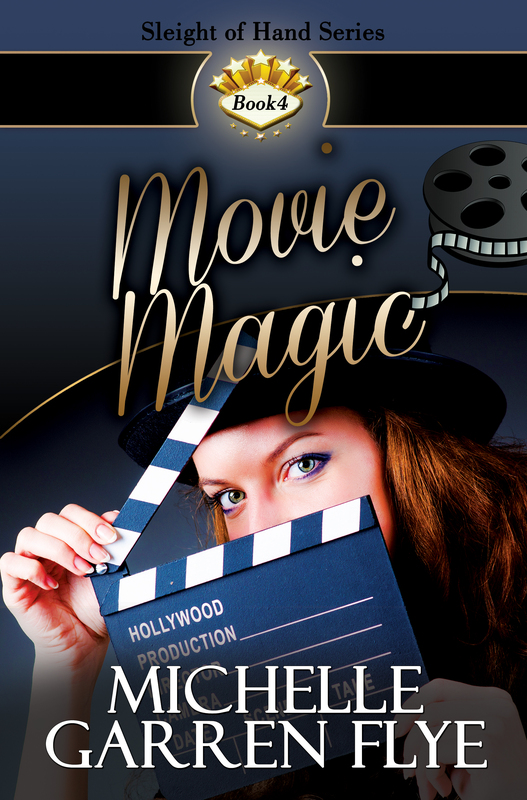 You can find them here: CLOSE UP MAGIC. Why does that line appeal to me so much? One reason. I intended the reader to be unsettled. Not only by the subject matter, but by the emotions of my characters. Human beings are not perfect, and married ones can be less perfect than most. Marriage is hard work. No matter how idyllic your ideas about love and marriage might be, you remain human after you say your vows. And eventually you end up hurting each other in ways both large and small. That was what my book was about and this reviewer got it. 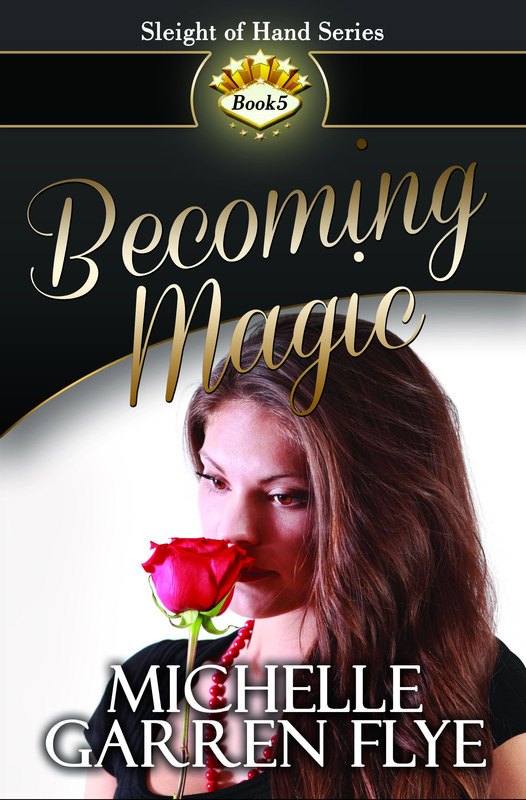 Over the past couple of months, I’ve been working hard to secure reviews for my contemporary romance Close Up Magic. It’s harder than you might think. For every ten people you offer a free copy of your book to, you might get three reviews. That’s pretty darn understandable, if you consider that most book reviewers don’t actually get paid for what they do. They do it for the love of reading, whether they blog their reviews or just post them on Amazon and Goodreads. So when I ask somebody to review my book, I’m asking them for several hours of unpaid labor, for which I will pay them with my sincere thanks…and hopefully an enjoyable read. My thanks to all my readers and especially all my reviewers! When I decided to self-publish Ducks in a Row, I had plenty of occasion for self-doubt. It’s not easy putting yourself out there, but it’s a lot easier if you’ve got a publisher behind you. A publisher is verification that there’s something in the words you wrote. Somebody else read your work and found it good. Self-published authors don’t have that. Michelle Garren Flye does not hesitate to tackle some pretty uncomfortable subjects in Ducks in a Row. This well-written and thought-provoking novel provides a realistic look into how two people who love one another can find themselves on the verge of losing everything when they stop communicating and begin taking each other for granted. Many thanks to Book Reviews and More by Kathy for the honest and insightful review. I learned a little about my book from your review, and that’s got to mean something. Plus, I finally feel that putting my story out there was the right thing. The advent of Freddie Falcon Flye: My moment outside my comfort zone. Yes, that’s a cute little baby pup. He’s my birthday present. (My birthday, incidentally, is Friday.) I started out thinking I wanted a kitten for my birthday, because, honestly, I’m more of a cat person than a dog person. But then my path crossed this little pup’s, and it was love at first sight. Seriously, I fell in love with his picture. You see, he was an auction item at my kids’ school (hence the name, Freddie Falcon–named after the mascot), and I handled putting auction items on a Facebook page for the school. So I was ONE of the first to see Freddie’s baby picture. And I fell in love. Yeah. But that’s different. It really is. Most of the time when I’m writing, it’s not like it’s coming from me at all. I mean, my heroines couldn’t be any different from me. I went from writing Alicia (Where the Heart Lies), who has to be my most courageous heroine to-date and way better of a person than me, to Cady (Ducks in a Row), a deeply flawed woman who is extremely selfish and someone I hope I’ll never be. Cady was fun to write, and I won’t deny I have some of her same foibles, but at times I really didn’t like her very much. And I wondered more than once if Alicia was a little too perfect. Her only real flaw was self-doubt. So you can see that I don’t write my life story when I write. These characters are not me, and I always feel like they are the ones in the limelight. Live auctions require active participation and if you win a sought-after item, it’s you people are paying attention to. 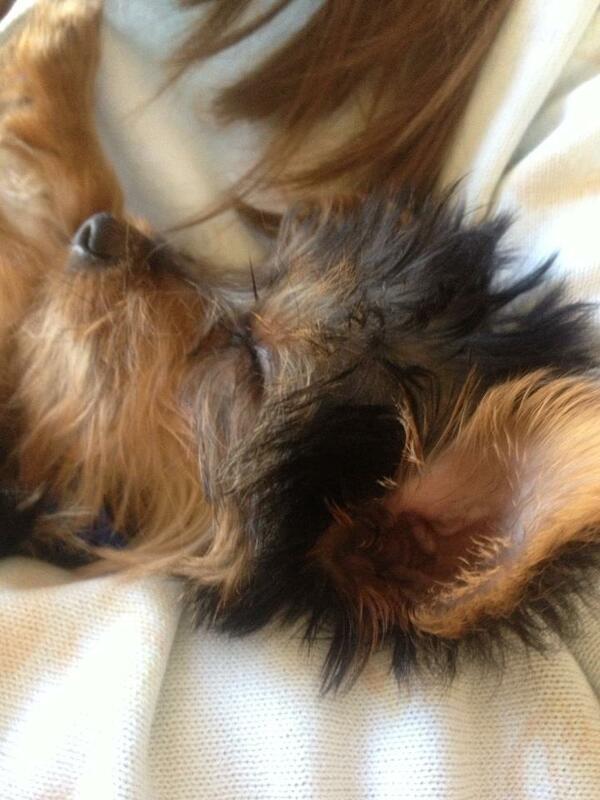 But I was in love with this little dog. What to do? I made a resolution to step outside my comfort zone. I try to do that every now and then anyway, so it’s nothing new, but this was really terrifying for me. As luck would have it, I left the auction for a moment on an errand and came back after Freddie’s lot came up. I walked in, stood there frozen at the sight of the puppy picture I’d fallen so hard for on the screen. Moment of truth. Did I dare? My heart was pounding in my throat, I stood at the back of the auction, sick to my stomach, terrified, as the auctioneer called for bids. Then something in me snapped into place and my arm went up with my bid card. Oh my God, I did it! But now I was in for it. The bids went on and the auctioneer called out again. I raised my hand, half afraid I was going to fall over in the too-high heels I’d worn. I longed for flipflops or even flats. I’m standing there in a cocktail dress in high heels participating in a live auction. Was this really me? I don’t wear cocktail dresses, and the only heels I wear are on my cowboy boots. My head whirled. And then it came down to me and one other bidder. A couple of friends came to stand next to me for support. Maybe the other bidder loved that puppy, too. Probably she did. The parents of the kids who go to this school are wonderful people. No matter who bought him, he was going to be pampered and loved and played with. All these thoughts rushed through my pounding brain and I realized I’d lost track of the bidding. I whispered to my closest friend: Am I the high bidder? Not yet, she hissed back. My hand went up and Freddie was mine. I am not joking when I tell you I still hadn’t recovered when they brought him to me and I held him for the first time, but the panic went away. I’d done it, and although it might seem like a small thing to anyone else, it felt like a huge triumph to me. And that’s why I took yesterday off from almost everything. Everything except playing with my kids and my new dog, that is. We’ll call it a breathing moment.